Baseball could start over. Did they ever think of that? The main complaint after the steroid era was that all the record books were ruined; records that shouldn’t have been broken were and now it’s too late. Of course, it was really only two records, so I don’t see the big deal. However, baseball could start a new era and draw a definite line in the record books if it liked, or if you like, start over. Through 1960, major league baseball had a 154-game schedule and ever since it’s been 162. With the expanded playoffs, a lot of unnecessary spring training and Americans’ attention spans dwindling every day, many complain the season is too long. With pitchers and catchers reporting in mid-February to the end of the World Series in late October (and sometimes early November), the season can stretch to almost nine months. Lord knows I’d like a 365-game schedule, but even Cal Ripken needs a break now and then and new excitement needs to be brewed into the old game. The baseball playoffs are dragging behind the NFL. This year proved baseball can have pennant races in September thanks to horrible performances in Boston and Atlanta and spectacular runs in Tampa Bay and St. Louis. But this year was a rarity. The problem with the 162-game season isn’t necessarily because there are too many games. The problem lies in the beginning and the end of the season. Baseball starts too early and ends too late. Attendance tends to drag after opening day in April due to cold. Should the schedule be reduced to the old 154 games there would be too many ignorant fans comparing current records to those of pre-1961. A schedule somewhere around 145 games would work well. This would allow teams to have opening day in the second week of April, giving spring more chance to develop. Instead of comparing the new shortened season to the 162 or the 154-game schedule, why don’t we just start a new record book? This probably should have been done around 1994, but better late than never. The first year of the new shortened season, every record will be an all-time record. No one will pitch as many innings as Cy Young and Walter Johnson. 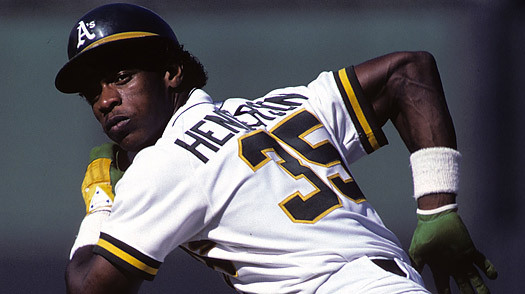 No one will steal 130 bases like Rickey Henderson. No one will likely ever approach Sam Crawford’s 309 career triples. No one will hit 73 home runs, so why not just start a new book? Good luck to anyone planning to approach this man’s single-season or all-time stolen bases record. Even though today’s All-Star Game decides home-field advantage in the World Series, it hasn’t stopped players from not wanting to play in it. No matter how hard a competitor, there are always going to be players who would rather spend time with their families than play in this game, no matter what the outcome means. Let the All-Star Game be a fun exhibition again and alternate the World Series home-field advantage every year like it was. The only difference between the American and National leagues are their names. They’re both owned by Major League Baseball so swapping teams shouldn’t be looked on as sacrilegious. Fine, the NL doesn’t have the DH, but that’s the only difference. Aside from Chicago, Los Angeles and New York, interleague play isn’t very exciting and with the extra time for exhibitions in early April, the inter-city rivals could easily have a series before the regular season begins. Interdivision games are much more exciting than the Tigers-Diamondbacks series. The schedule needs to be further biased matching teams like the Cardinals and Cubs, Yankees and Red Sox, and Dodgers and Giants even more often. Aside from these obvious rivalries, more will form. The Royals and Yankees aren’t much to watch now, but they were in the late seventies and early eighties only from the fact that both teams were so good. Who knew the Brewers and Cardinals had a rivalry until they found each other in the NLCS this season? 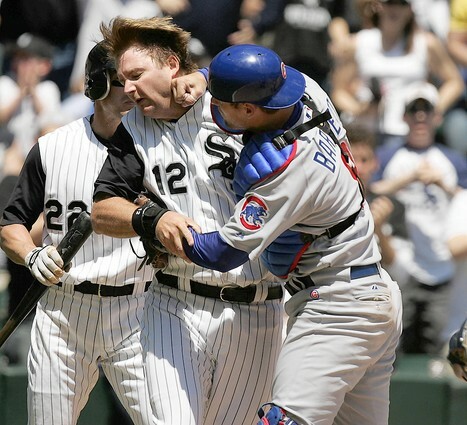 Let’s save the Cubs / White Sox games for the preseason. For a National League East team, a season could consist of playing each team in its division 25 times and every other team in the league five times giving them a 145-game season. When there are one-game playoffs or series-deciding games, the nation pays attention. Only real baseball fans care about Game 2 of the ALCS. With the new playoff system, the nation will pay much closer attention, much like they do in the NFL. There will be 12 playoff teams: six division winners and second place in every division. The second-place teams, or wild cards, will play one marathon day of exciting baseball in two ballparks. Bud Selig and MLB are working right now on giving wild-card teams more of a disadvantage. I’m taking it a step further. Giving teams home-field advantage based on overall record in an unbalanced schedule is not fair. To remedy this, teams will be given home-field advantage based on their records against each other. Should the Indians, Orioles and Mariners be the wild-card winners, their overall records against each other will be added together and the team with the highest winning percentage will have the advantage. That edge in the new playoffs will matter, too. It will matter for the outcome of the team as well as the ticket sales. Twenty four hours before the playoff series begin, the three wild-card teams of each league will come together in the ballpark of the team with the best combined record. The two visiting teams will play an afternoon game with the winner moving on to play the home team beginning two hours after that game. Ticket prices will be steep, but they will cover both games – a real doubleheader only with three teams. The winner of the second game will go on to begin their best-of-five division series against the top division winner the next day. Not only is the wild-card team worn out from playing either one or two games the day before, but they’ve also used one or two top (most likely) starting pitchers to begin a short series. Should the wild-card team move on the championship series, they deserve it. No matter what their record against the other playoff teams, the wild-card team will never have home-field advantage with the exception if they make it to the World Series. The reduced regular season schedule will start the record books anew, reduce April snowouts and create more excitement in a more compact season that will end in late October. The new team alignment will ease the burden of the last 14 years of the NL Central and put it on the AL West (we can switch it again in another decade or so). More interdivision play will increase excitement and create new and real rivalries. Can we really consider the wild-card playoff day the playoffs, or is it just a way to get into the playoffs? Either way, there are now 12 teams involved in the postseason with six do-or-die games in one day which leads to a real advantage to division winners. Will this realistically happen? No, but I’ve enjoyed writing about it.